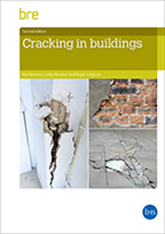 This Digest examines the causes of cracking in buildings and shows, with descriptions and illustrations, the visible results of a wide range of problems including a complete solution to every cracking problem. It aims to broaden the understanding of the factors responsible and increase the likelihood of correct diagnosis and repair. Avoidance of some of the pitfalls will minimise future trouble in new buildings and lead to better design and workmanship. This Digest was first published in May 1991. The factual content remains valid and this revised issue is primarily concerned with updating references. 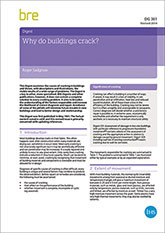 3 The effect of movements: how do cracks occur? DG361, cracking, sulfates, salts, alkali silica reaction (ASR).